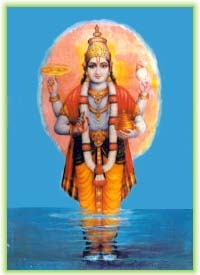 As told in the Hindu Vedas, the world is a result of the self sacrifice of the deity, Purusha. Purusha was dismembered, and his various parts formed the world. This entry was posted on August 9, 2010 at 8:00 AM and is filed under God of the Week. You can subscribe via RSS 2.0 feed to this post's comments. yes Nibiru is a position in the celestiol path of Siȝel system. The Earth and Moon Dance around the sun producing different Aberrations of the Total Solar eclipse. The Myans were very advanced in charting the stars. nravel his puzzle with physical knowledge instead of spiritual knowledge which is given to folks who desire the true knowledge of God,not for the purpose of countering other folks or showing off their great prowess in the written word but for godly fear of how much ridicule and spite we might have done to God who has been so generous to humanity if our believes were wrong…My advise to all cozy chaps reading this is :”IF YOU KNOW THE TRUTH,DONT LET IT DRIBBLE YOU!” Love u all… U can send this to someone else. GREETINGS FROM THE SPIRIT WITH US ALL’no one knows God until he allow the GOD to reveal himself to that person personlly throught a true manifestation of himself the true GOD has come to earth many times to guide mankind not to mention GODS spirit is inside us all but we are to business hateing on each other and trying to make others see things our way.Comment from keeyahta of zion illinois.